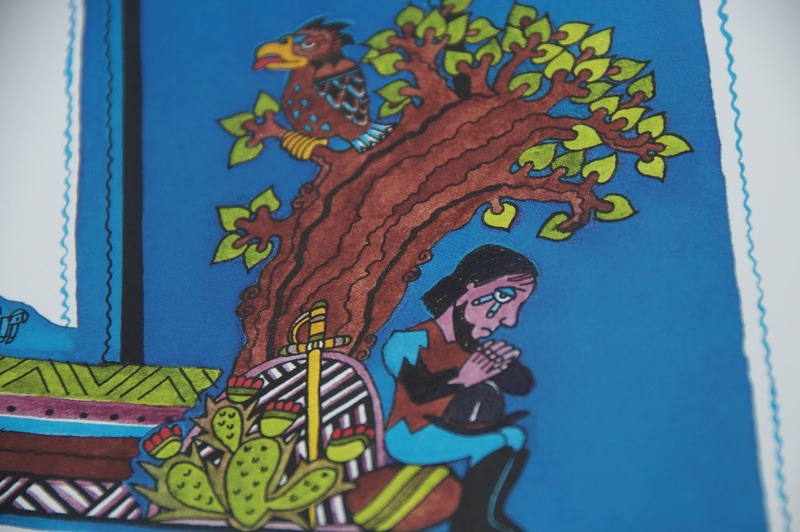 Daily On My Way to Heaven: Why Does the Mexican Flag has that Particular Eagle? Why Does the Mexican Flag has that Particular Eagle? Why does the Mexican Flag has that particular eagle, standing on a cactus, devouring a rattlesnake? You can read your little ones about this in this book I read to my little one this week. Yes, it is a very good, little book that my 7 yo enjoyed from the first page to the last. I really liked it because, even though it is short, it is accurate and the illustrations are beautiful. 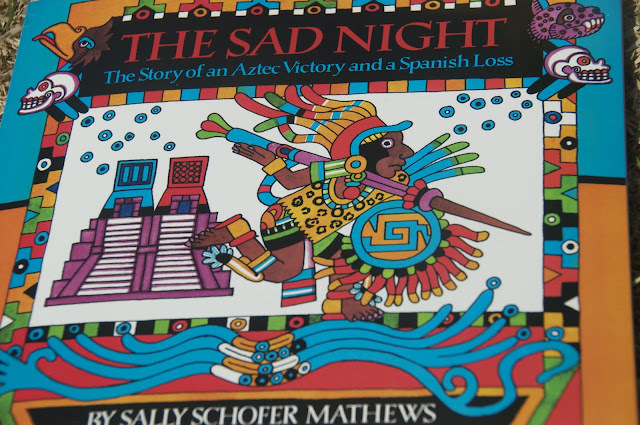 The book is entitled The Sad Night, by Sally Shofer Matthew. Why did the Spaniards finally conquered the Aztecs if they were outnumbered? First the Aztecs had a totally different mindset when fighting. In Europe the idea was to win no matter what, in the Americas once a tribe fought and clearly won in battle that was it, it was settled who was the strongest one. However, the Europeans were not going to be defeated like that, their interest were much more bigger than winning a one fight, than showing who was the strongest one. An Empire with many interests was behind all this. So, when the Spaniards lost this important battle (the Sad Night is the result of that loss) and they left. The Aztecs never thought that in a year they will come back with a larger army decided to crash their civilization; that was not the way things worked on this side of the Atlantic. Third, and most important, the Aztecs lost because it was written! Because God is sovereign over the nations, over the course of history, He is Lord over all, and He directs the history of mankind like the course of a river according to His infinite wisdom. Well... 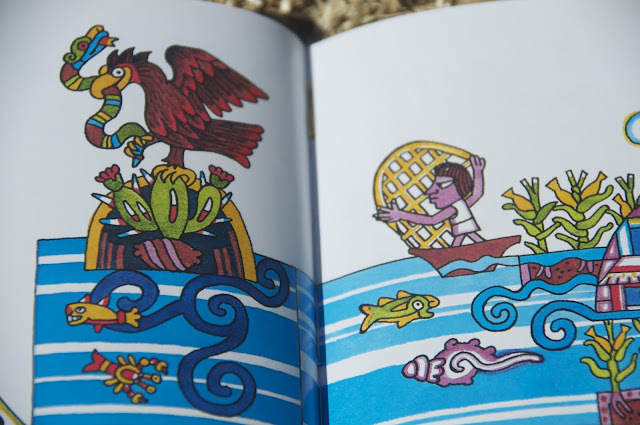 I hope you enjoyed reading this, and I hope you get to buy this little book with a great story and full of beautiful illustrations. Have a blessed weekend, dear friends!